Among the most important equipment for a home theater system are the speakers. Without them, your system is practically incomplete because it is the only channel for your sound to be heard. More often than not, the best home theater speakers are very complex to the point that you should have at least eight speakers in your setup. Is this really the way to go? Do we really need a sound bar, rear speakers, bookshelf speakers, and mounted speakers to get the best home theater viewing experience? Do we need separate subwoofers and tweeters to make the sound clear and crisp? The answer is yes. However, this can prove to be a hassle to accomplish, as you need to invest in a lot of equipment. A quick solution to this is to simply get speakers that come equipped with the other features needed to complete a home theater system. Can speakers really contribute to the sound quality? In this article, we listed down three of the best speakers for a home theater system. Read on for more information. This system is known not only for acoustics that is of premium quality but also for the durable construction. At the same time, the setup is straightforward. It is good to note that the equipment is mostly compatible with other receivers. It comes with a tweeter that is domed in silk, paired with a waveguide that is dynamically balanced. This provides for the treble to have a clear sound; its measure is one inch. Additionally, it has drivers that are measured 6.5 inches which can be used for bass and for mid-range sounds, due to the composites that are extended. Lastly, it has sub-bass radiators that provide a powerful output of bass, even when it is producing low sound frequencies. Its measure is 2 x 6.5 inches. The presence of the mid-range sound is excellent, which will make this system perfect for a home theater. The bass is controlled and does not go all over the place. The high-range sounds are easily balanced. What the treble gives out is not too disruptive. There is a problem with power supply and the speaker wire when short circuits happen. They automatically shut off. Technically, they work as bookshelf speakers with a bit of added sound quality. They can only give out sound as it is, but do not really provide any enhancements. 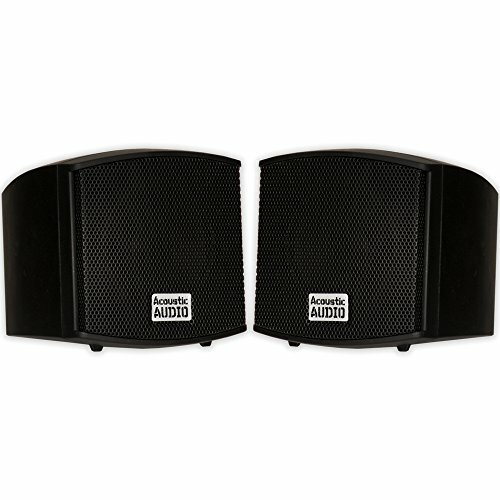 These bulky speakers are housing a great amount of power, with 400 watts each, and 200 watts of RMS. Further, the sensitivity level for the frequency response is also high, leveled at 88 dB paired with 150-20,000 Hz. Its cabinets are also sealed with heavy-duty panels of ABS construction. As for the setup, everything is also easy, as it comes with the brackets used for mounting and all other hardware. Coupled with wire terminals that are loaded with spring, and can be easily released—you do not need an expert to finish a professional-looking setup. They are great when used as rear surround speakers. It pairs well with a lot of other receivers. They can balance the bass when you crank it up. You always get a clean and crisp sound. It is very easy to install and to set up. They need supplements to give you that complete surround sound. You might need a sound bar or other satellite speakers. You get a clear sound, but that is just it, no low-range or mid-range, it just produces sound. These are only good as additional speakers, to an already existing home theater system, since the sound that it produces is that of a basic one. This speaker was designed to produce a crossover of optimized clear audio, meaning your sound will not only be clear, but it will also be enhanced. To do this, it has a three-way speaker, a woofer that is foamed in mica that is reinforced cellularly, and the main tweeter that is made of polyester. Further, it is equipped with a tweeter for staging sound. The reproduction of sound runs at 50 kHz and for the impedance of the speaker, six ohms. At the same time, the input power set to maximum is 145 watts. Definitely, this equipment was made to release a powerful sound. It has a nice sound spectrum. You can fill either a small room or a medium-sized room with rich sounds. It has a good bass performance. The crossover frequency range is very balanced. You can only use these speakers to complete your home theater system, no need for supplement speakers. The sound that you hear is not only clear and crisp but also very enhanced. It is compatible with most receivers. It does give out a decent amount of bass; however, if you are looking for that shudder you get in the cinemas, you will not get that effect with this. Cable management may be tricky for this, as they are quite big speakers and you need to surround the room with them, to get a legitimate surround sound. One speaker is not enough; you should get at least four. In choosing the winner, we took into consideration the installation process, the power of the speakers, and the quality of the sound. This is so because a speaker can only do so much, it should not only be equipment where the sound will come out off, it should also be able to contribute to the quality of the sound. We are talking about a home theater system here, not just an audio speaker, so any amount of sound enhancement greatly impacts the outcome of your viewing experience. 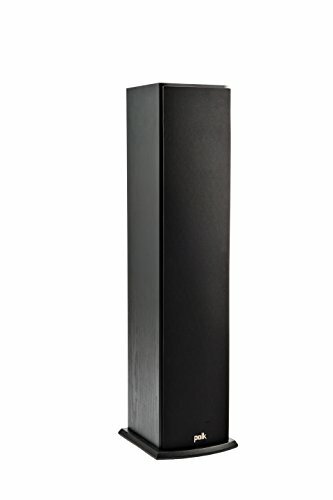 Therefore, out of all the best home theater speakers on this list, the winner is the Sony SSCS3 3-Way Floor-Standing Speaker. This speaker wins not just because it is powerful, but also because it contributes to the audio quality. Actually, it is the only speaker on the list that has that capacity. This is definitely a proof that speakers can really push the boundaries of audio. You should not only rely on receivers, sounds bars, etc. for sound quality. The speakers should also contribute, and the one from Sony does—in a huge way.